Wow- what a beautiful location. 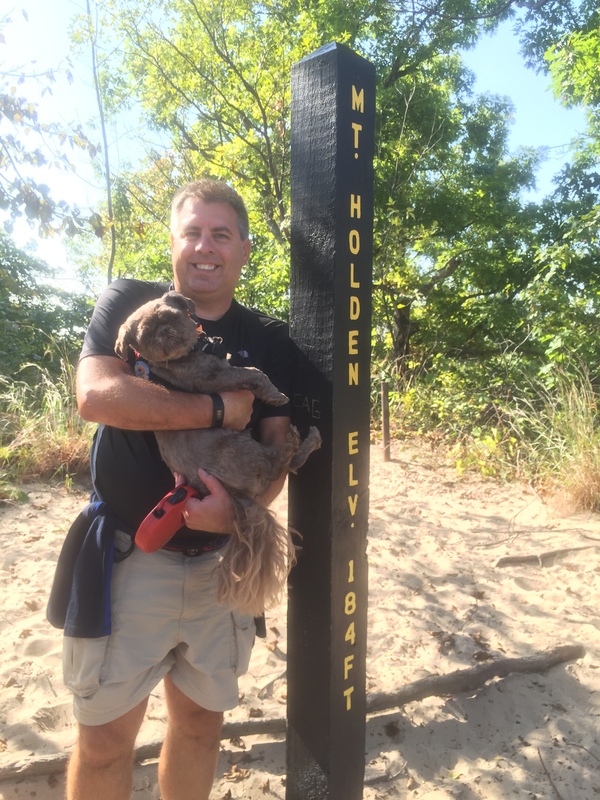 We decided to take the long trek (2.5 hours each way) from Decatur to Indiana Sand Dunes state park while our RV started it’s first full day of warranty work. We arrived at the visitors center just outside the park and stopped in to plan our day. The staff at the visitors center was very friendly and the facility was beautiful They had information about the state park and the national seashore. We followed their advice and spent the $12 entry fee for the state park to do the “3 dunes challenge”. They even told us to stop back in to get free postcards and stickers after we completed the challenge. This was a great recommendation as we have been itching to get a good hike in. We arrived at the state park, paid the entry fee and headed directly to the nature center. 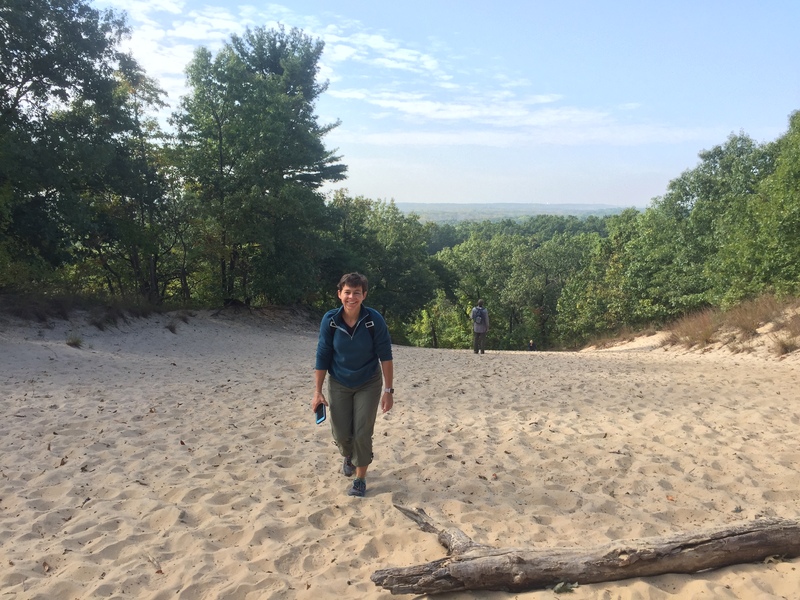 The trails were clearly marked for the “3 dunes challenge” and we were quickly climbing the dunes. This is a 2 step forward, one step slide back process and even though we were only doing a total of just over 500 feet of elevation, the soft beach sand made it a great workout. 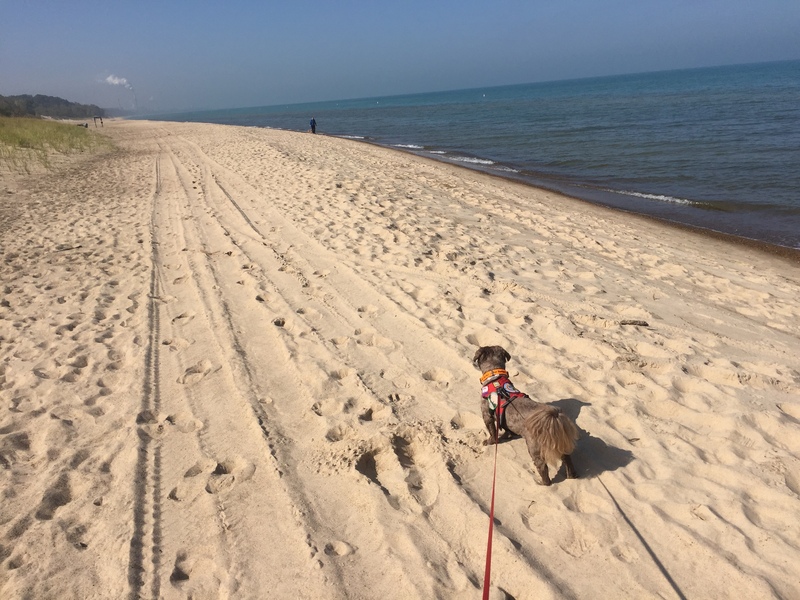 Gizmo thoroughly enjoyed the feel of sand vs. pine needles between his feet and we are pretty sure he is going to insist on these hiking conditions in the future. The first dune gave us limited views but the views started opening up on the second dune. Unfortunately, the fog had not quite lifted from lake Michigan but the views were still amazing. We finished the third and highest dune and decided to take the long route back to the car. We ran down the almost 200 foot hight dune to the shoreline. We were amazed at how beautiful the beach area is. The beach is the softest white sand that goes on forever. 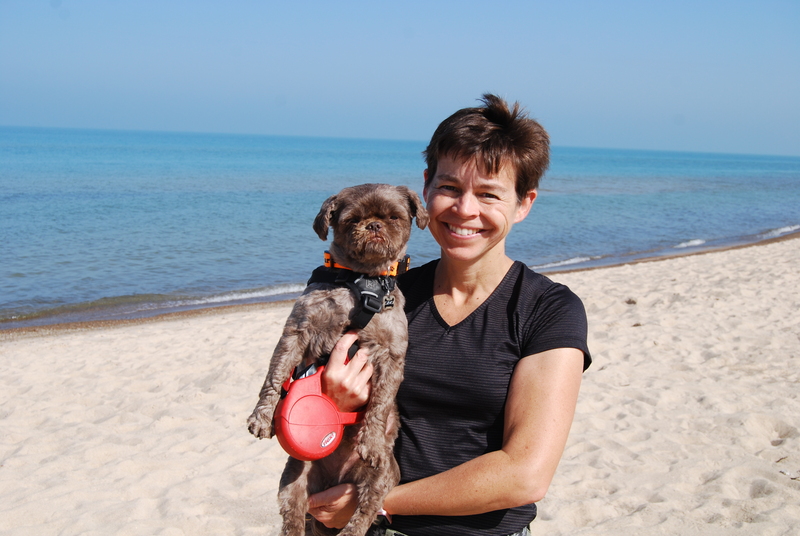 We enjoyed walking the beach, soaking up the sun and the 75 degree weather. We all declared this an excellent excursion and one we would not forget. The loop back to the car took us through the camping area. This was another wow! The sites were large, just the right balance of trees and sun, and had level pads with 50 amp hook ups. Weekday rates are just $23. This is definitely an area we would stay at if we ever drive through here with the RV. The ride back to Decatur was long and we were pretty tired when we got back. We were very pleasantly surprised to find our RV backed into our site, leveled, slides out and AC on. It was way better than checking into a hotel after a long day. 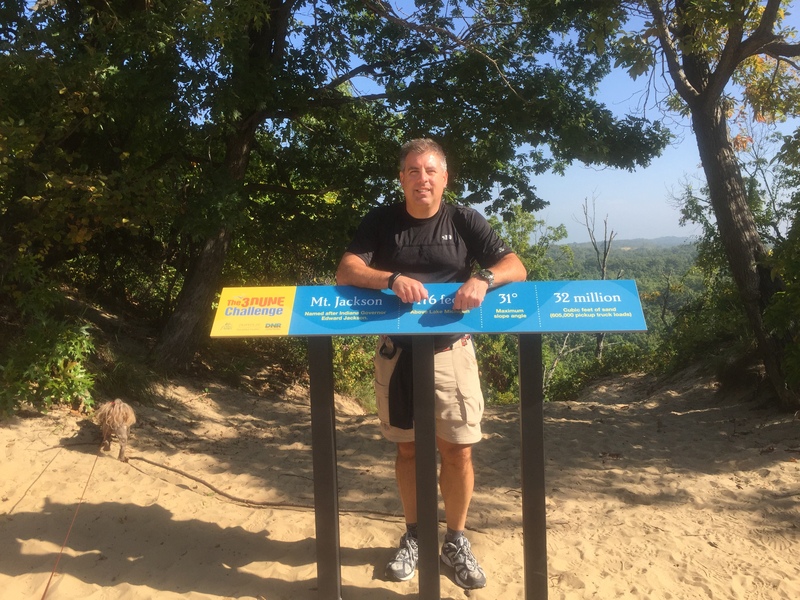 This entry was posted in The journey west and tagged Fleetwood, Indiana Dunes State Park. Bookmark the permalink. 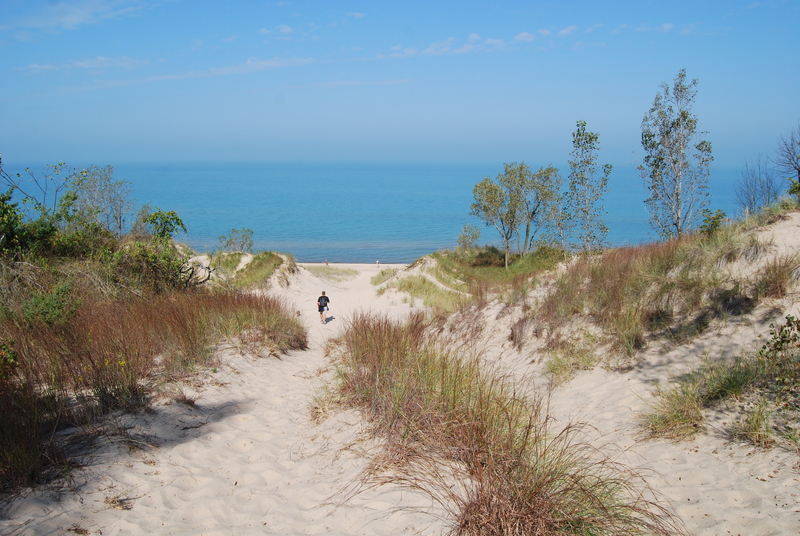 This looks like a great hiking experience, and I loved seeing the pictures of the beach.